In this new mystery set in the Patty Hearst era of radical black nationalism and political abductions, a black ex-boxer self-named Uhuru Nolica, the leader of a revolutionary cell called Scorched Earth, has kidnapped Rosemary Goldsmith, the daughter of a weapons manufacturer, from her dorm at UC Santa Barbara. If they don't receive the money, weapons, and apology they demand, "Rose Gold" will die horribly and publicly. So the FBI, the State Department, and the LAPD turn to Easy Rawlins, the one man who can cross the necessary borders to resolve this dangerous standoff. With twelve previous adventures since 1990, Easy Rawlins is one of the small handful of private eyes in contemporary crime fiction who can be called immortal.Rose Goldcontinues his ongoing and unique achievement in combining the mystery/PI genre form with a rich social history of postwar Los Angeles and not just the black parts of that sprawling city. 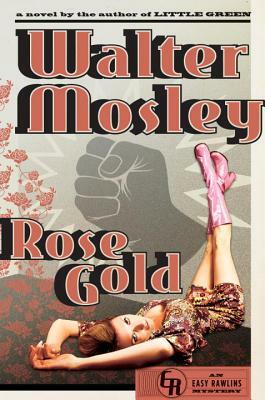 WALTER MOSLEY is the author of more than forty-two books, most notably twelve Easy Rawlins mysteries, the first of which, Devil in a Blue Dress, was made into an acclaimed film starring Denzel Washington.Always Outnumberedwas an HBO film starring Laurence Fishburne, adapted from his first Socrates Fortlow novel. He is the winner of numerous awards, including an O. Henry Award, a Grammy Award, and PEN America's Lifetime Achievement Award. A Los Angeles native and graduate of Goddard College, he holds an MFA from CCNY and now lives in Brooklyn, New York."